Students who join orchestra have the option of playing violin, viola, cello, and bass. Every instrument is important, and we need them all to have a great sound in the Orchestra. Every year we have concerts featuring our orchestra students. These include a fall concert, winter concert, and a spring concert. In addition students may be invited to perform at concert events on campus, on elementary school tour, special Christmas time performances, field trips, and solo and ensemble events. Again, those students who work hard will have the most performance opportunities. 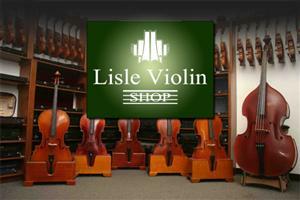 I recommend you rent instruments locally at located at 4510 S. Burke in Pasadena, TX. They are open Monday - Saturday from 9:00 a.m. - 6:00 p.m. Their phone number is 281-487-7303. Their instruments are proven to be high quality at an affordable price. They are close by for quick repairs and they are the preferred vendor of Pasadena ISD. Please do not purchase an instrument from a website or any company that is not a reputable music shop. If you have any questions, please contact me. I want everyone to get the best value for their money.